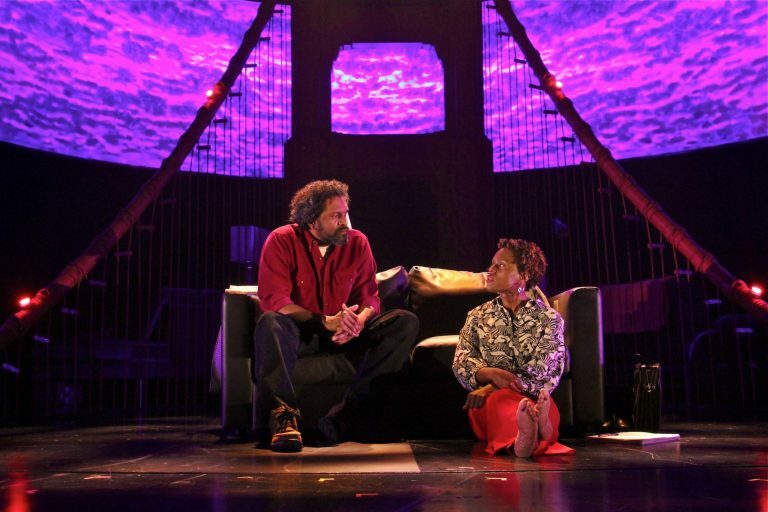 This week, the Philadelphia Theatre Company will present the final production of its season, “How To Catch Creation,” about a group of African-American writers and artists in San Francisco struggling with their creative lives. 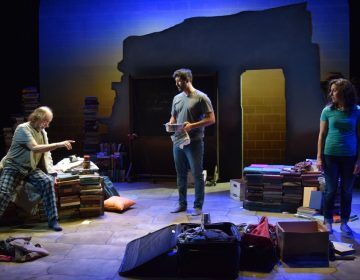 The theater company would like you to know that, while you may not know the play – it’s just had its premiere in Chicago a few weeks ago – it was featured on the Kilroy List. The idea is these writers are here and merit attention. The list was started in 2014 in reaction to the perception that a vast majority of produced plays are written by men. The perception was upheld in a survey by the Lilly Awards and the Dramatist Guild, released in 2015 as The Count 1.0, showing almost 80 percent of plays produced in American were written by men. The second iteration of The Count, released in 2017, shows a slight improvement, with about 70 percent written by men. “How To Catch Creation” features an all-black cast playing creative people in San Francisco, flipping through time from the 1960s to today. The story has little to do with race, Price said, which gives it an edge. This 2017-2018 season is a debut for Price, who joined the Philadelphia Theatre Company only recently. This is the first season of her own programming. She uses many sources to find scripts to produce — including agents, professional relationships, and new play readings at conferences. The company chose to print the Kilroy List as its source on the material promoting “How To Catch Creation” in part because the list itself is becoming more prominent. 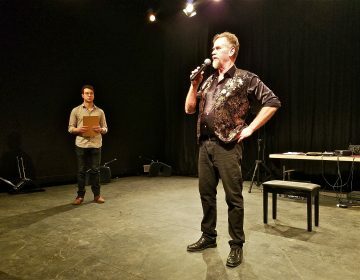 InterAct Theatre has a 30-year reputation of championing new plays with a socio-political bent. Even with its deep relationships with a range of playwrights — sometimes directly commissioning new work — InterAct is always on the hunt for new voices. In May, Rozin will end the current season with “The Great Leap” by Lauren Yee. The play appeared on the 2017 Kilroy List, but that’s not how InterAct discovered it. For years, Yee has been on the radar of both Rozin and Washburn. “The Great Leap” is about a Chinese-American college basketball player who travels to Beijing to play an exhibition game in 1989, just as the Tiananmen Square student protests begin. 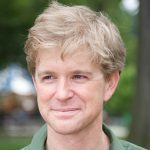 At the same time Rozin is staging “The Great Leap,” another Philadelphia theater company is staging yet another Kilroy List playwright. Theater Exile in South Philadelphia will produce “Among The Dead” by Hansol Jung. Jung appeared on the 2015 Kilroy List, but for a different play. “Among The Dead” did not make it to the list, but that’s how Exile discovered Jung. MJ Kaufman is a playwright who has been on the Kilroy List twice. They said it’s hard to tell if the list directly leads to a production. One of their Kilroy plays, “Eat And You Will Belong To Us,” has never had a professional production, but it certainly put their name in the air. Neither Theater Exile nor InterAct Theatre mentions the Kilroy List in any of their marketing materials. Most audience members would likely not know how a play was discovered, nor would they likely care. The fact that the Philadelphia Theatre Company is noting the Kilroy connection right up top in the promotional materials is related to the company’s attempt to reinvent itself. The company had a close call with bankruptcy and foreclosure a few years ago, one of the reasons Price was brought on to lead in a new direction. It produced nothing in the 2016-2017 season, instead doing audience research and self-reflection to strike out on a new, more sustainable course. Price is trying to stay as transparent as possible so audiences know how the company is changing, and that the plays merit the price of a ticket. Next season, the Philadelphia Theatre Company will produce a title from the 2015 Kilroy List, “The Wolves” by Sarah DeLappe, about a high school girls soccer team. It was also a finalist for the Pulitzer Prize. The South Philadelphia theater company lost its home of 10 years. Now, it’s moving back to a bigger, better — albeit underground — stage. Silly me, I thought I was going to the theater to see a play. I did go to the theater — Theatre Exile. But there was no play. There was, instead, something called “Really."